WASHINGTON, DC, June 17, 2011 (ENS) – The U.S. Senate Thursday voted 73-27 in favor of an amendment by Senator Dianne Feinstein, a California Democrat, to eliminate the Volumetric Ethanol Excise Tax Credit and repeal the import tariff on foreign ethanol. This amendment to the Economic Development Revitalization Act is identical to the Ethanol Subsidy and Tariff Repeal Act, which was introduced in May by Feinstein and Senator Tom Coburn, MD, an Oklahoma Republican. The bipartisan vote drew some of the Senate’s most conservative and progressive members together to end the tax giveaway, which primarily benefits big oil companies. The ethanol subsidy currently gives large oil companies 45 cents for every gallon of ethanol they blend with gasoline, even though much of that use is mandated by law. Tax credits for ethanol are set to expire at the end of 2011, but if signed into law the amendment approved by the Senate would revoke the $6 billion tax credit by July 1, and could save $2.7 billion dollars this year. Similar legislation is pending in House of Representatives. 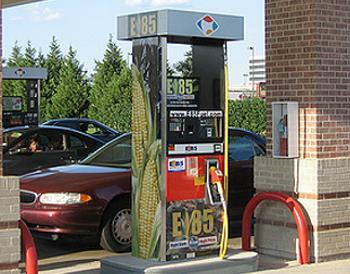 The ethanol tariff is comprised of a 54-cent-per-gallon secondary tariff and a 2.5 percent tax. The ethanol tariff makes the United States nation more dependent on foreign oil by increasing the price of imported ethanol. “Senators scored a win for the public and for the environment by voting to end this $6 billion giveaway,” said Kate McMahon, biofuels campaign coordinator at Friends of the Earth. “Ending this subsidy will help reduce the deficit, have almost no impact on jobs and limit support for this polluting industry. We thank the senators for reaching across the aisle to send a decisive message that the ethanol industry’s days of living high off the taxpayers’ hog have come to an end,” said McMahon. Friends of the Earth is part of a diverse coalition of environmental groups, business associations, taxpayer advocates, hunger and development organizations, agricultural groups, free-market groups, religious organizations, budget hawks and public interest watchdogs that have mounted a multi-year campaign to end the wasteful tax break promoting corn ethanol. “High energy prices are already damaging a very fragile economic recovery. This amendment, which cuts all tax credits for ethanol and biodiesel as of July 1, will push energy prices higher,” Johnson warned.